After that, a computer printout is generated with a comparison of fuel consumption during the before-after test. 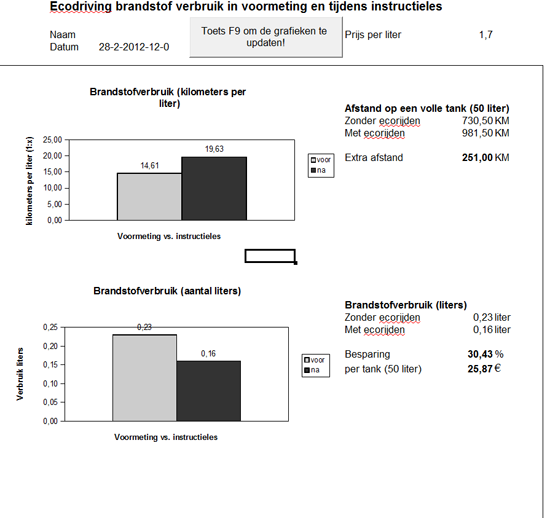 It shown in a graphical format how much fuel has been saved by the eco-driving style, and how much money has been saved compared with a regular driving style. This training shows the immediate effects of simple changes in driving style which is very convincing for the driver.